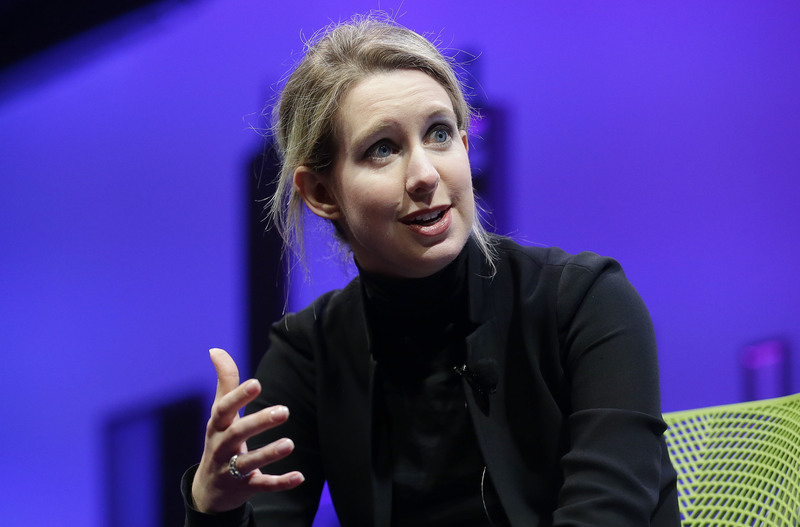 SAN JOSE, Calif. (CN) – The Securities and Exchange Commission on Wednesday slapped health tech company Theranos and its founder and CEO Elizabeth Holmes with a complaint accusing them of a $700 million investor-fraud scheme. In a 24-page complaint, the SEC details the extent to which Holmes and former Theranos president Ramesh Balwani went to defraud investors of more than $700 million from 2013 to 2016, perpetrating an elaborate ruse that greatly exaggerated the effectiveness of the company’s blood-testing product. Also Wednesday, the SEC announced it has settled with Holmes, who agreed to pay a $500,000 fine and forfeiting control of the company she founded by divesting of millions of preferred shares. Holmes will also be barred from serving as a director or officer of a public company for at least 10 years. The settlement further stipulates that if Theranos is sold or liquidated, Holmes will see nothing until approximately $750 million is returned to defrauded investors. Some of those investors filed a federal civil suit in 2016, which is still pending. Holmes’ close associate Balwani, whom she brought on as president in 2009 to bolster the company’s floundering finances, has not agreed to a settlement. The SEC said it intends to pursue its claims against him in federal court. Wednesday’s announcement represents a precipitous fall for Holmes and her company, both of which were once darlings of Silicon Valley. In 2013, Theranos was widely hailed as one of the most innovative companies in the health care sector, with profiles in business journals and newspapers touting its revolutionary ability to bring expensive blood tests directly to consumers. The company claimed it had developed a small portable device that could perform a wide variety of blood tests historically relegated to an expensive and time-consuming lab processes, giving consumers immediate information about their health including general wellness and the potential presence of various diseases. Holmes founded the company in 2003 in Palo Alto. While still a student at Stanford, she developed a wearable patch that could alert doctors of variations in the blood chemistry of patients. She then used her education trust money to found Theranos and began developing portable blood analyzers. By 2010, the company had amassed more than $100 million in investments and carried an estimated value of $1 billion, which grew to $9 billion by 2014. It cinched a deal with Walgreens to distribute its portable blood analyzers in 2013. Current U.S. Secretary of Defense Jim Mattis served on Theranos’ board after learning about the products from George Schulz, a former U.S. Secretary of State in the Ronald Reagan administration and an early champion of Theranos. The SEC said a big part of Holmes’ scheme involved false claims that the blood testers were used extensively by the U.S. Department of Defense, deployed on the battlefields of Afghanistan and used in medevac helicopters. The wheels started coming off for Holmes and Theranos in 2015, when the Wall Street Journal published an investigative report about critical technological defects of the blood analyzers. The defects meant many of the public statements put out by the company were in fact untrue. Disclosures from whistleblowers, including board member Tyler Schulz – the grandson of George Schulz – further damaged the reputation of the company, sent its reputation plummeting and sparked lawsuits by angry investors. Last year, Forbes said a more realistic valuation of Theranos is $800 million. Holmes’ personal fortune has dwindled from billions of dollars’ worth of stock to virtually nothing.